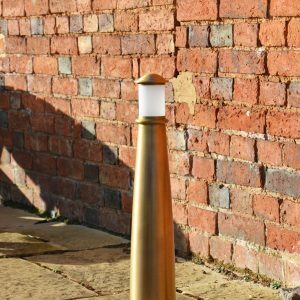 Lumena specialise in bollard lighting, stocking a huge range of stylish, contemporary path lights as well as traditional bollards and LED bollards. Different sizes of bollard lights are available as well as different head styles and mounting options. Due to the many heights and designs available, they are well suited to many different locations. These include garden paths, front driveways, as well as public areas such as car parks. 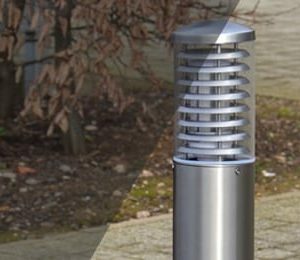 Stainless steel path lights, wooden bollards, aluminium bollard lights, square bollards, commercial bollards and dusk to dawn photocell bollards are some of the designs on offer. Commercial bollards are available with a professional in ground root mount system which are ready for setting into wet concrete. These in- ground bollard lights have a longer tube where 400mm sets into the ground. Many surface mount bollard lights are supplied with anchor bolts or suitable ground fixings. 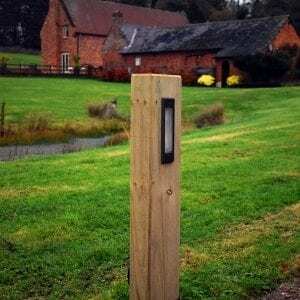 Bollard Lights are perfect for any outdoor area that requires extra light for amenity, access and security. These areas include driveways, car parks, pathways and edges. Use illuminated bollards to also create additional lighting effects & outline specific areas. 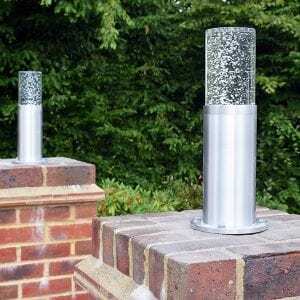 For something durable and decorative, have a look at our Airlite or Litetower bollards crafted from anodised aluminium. Many of the bollard lights are vandal resistant and made from durable, robust materials. Any of our aluminium bollards are also suitable for use in coastal environments. We define LED bollards as those that can be used with a high output LED bulb. Our Ledifice or Stelled bollard lights are fantastic examples of this. The recommended LED bulb is a bright 20w LED corn bulb with a high lumens output. Most other bollard light options house LED bulbs, even the 12v Plug & Play path lights on offer. The head style of bollards will determine how the light diffuses. Some bollard lights have an internal diffuser or louves that tone down the light. Bollard lighting that uses this technique is more about ‘way-marking’ than strongly illuminating an area. 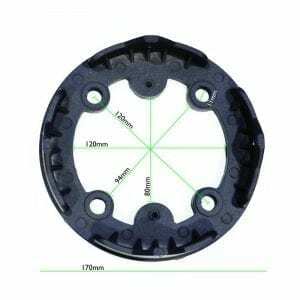 Lumena stock many LED bulbs suitable for use in bollard lights from 6w to 20w. 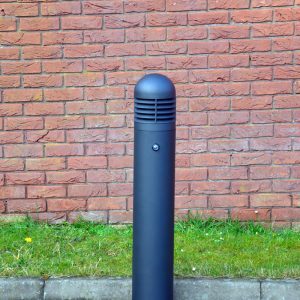 For security conscious users, Lumena offer dusk to dawn bollards. Otherwise known as ‘photocell’. These specialist, durable products use clever technology as an automatic light sensor. Consequently this results in added security and reduces energy waste. 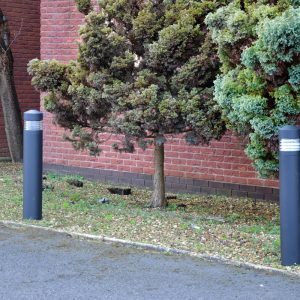 Exclusive to Lumena, photocell bollards are becoming widely sought after.